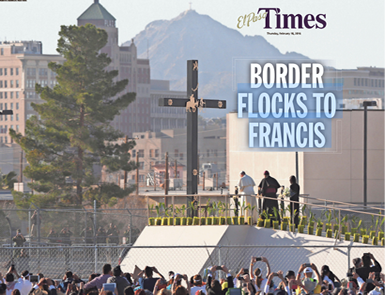 We still hear quite often from prospective patients, “Is Juarez safe?” Issues going on in Juarez more than five years ago were often the subject in our US news. Nobody will dispute that the drug war was the center of this activity, and has in past years subsided. So to give you some perspective, we think it helps to compare violence in Juarez with other major US cities. Today, Juarez is not even in the top fifty most dangerous cities while four US cities, Baltimore, St. Louis, New Orleans, and Detroit are in top fifty most dangerous in the world. 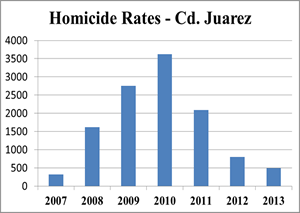 In a quote from the El Paso Times, "In 2015, Juarez reported 311 homicides — the fewest number of slayings since a surge in drug-related violence began eight years ago, officials said Monday." With a population of 1.321 million, that is 23.54 per 100,000. St. Luis has a rate of 59.23 per 100,000, about 2.5 times higher than Juarez according to the wiki stat., and Baltimore's 55 per 100,000, 2.3 times higher than Juarez, using number from Washington Post. 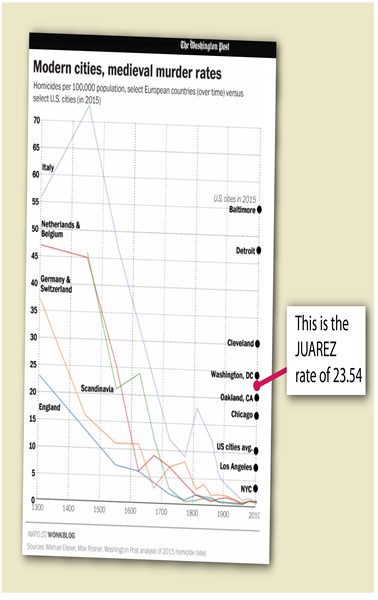 Juarez at 311 in 2015 with 1.321 million people has a rate of 23.54 per 100,000, having a lower murder rate than Baltimore, Detroit, Cleveland, and Washington DC, using numbers from the sources cited. Never in the history of our clinic have any of our patients been the target of violence, or a victim of violence, whilst being treated at our dental clinic. You do not even have to take our word on it; you can do your own research. We’re pretty confident that something like that would be covered by the national news media and splashed all over the internet. The truth is Americans and Canadians have been coming to Juarez, Mexico for years to get dental work. It isn’t a new phenomenon! We wish we could say we invented the notion, but we didn’t. 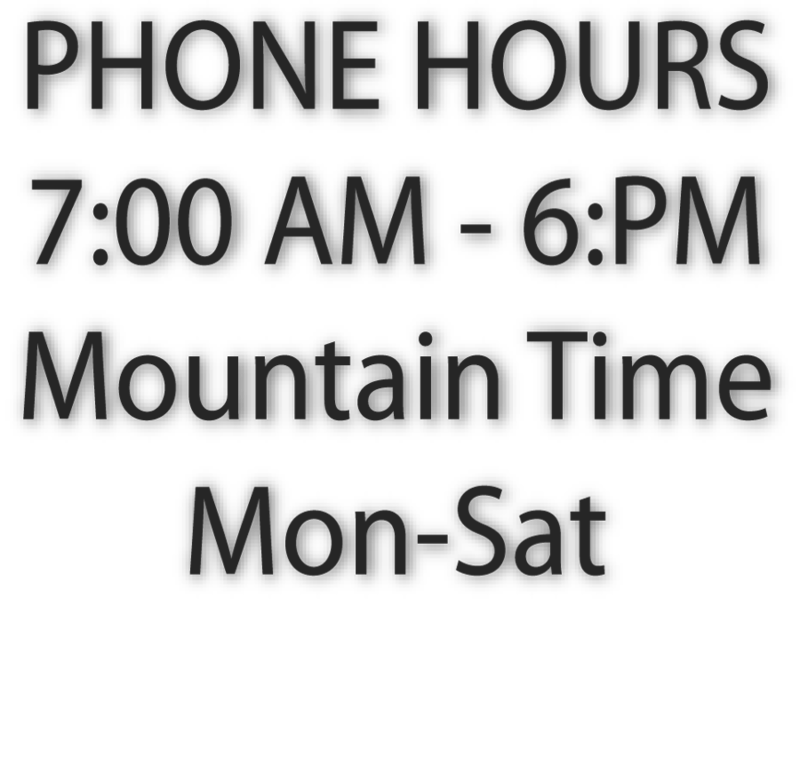 That being said, our patient base is consistently composed of Americans and a small percentage of Canadians and that is the way it has always been. So you are in good company when you travel to Mexico for dental work. And, you’re definitely not crazy like some of your relatives or friends may suggest upon hearing that you’ve decided to come to Mexico for dental work…unless, of course, they’ve offered to pay for your dental treatment in the US? We didn’t think so!